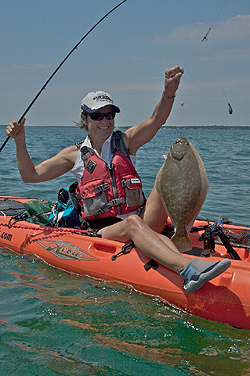 Kayak fishing is the most exciting and ecologically sensitive way to catch fish. 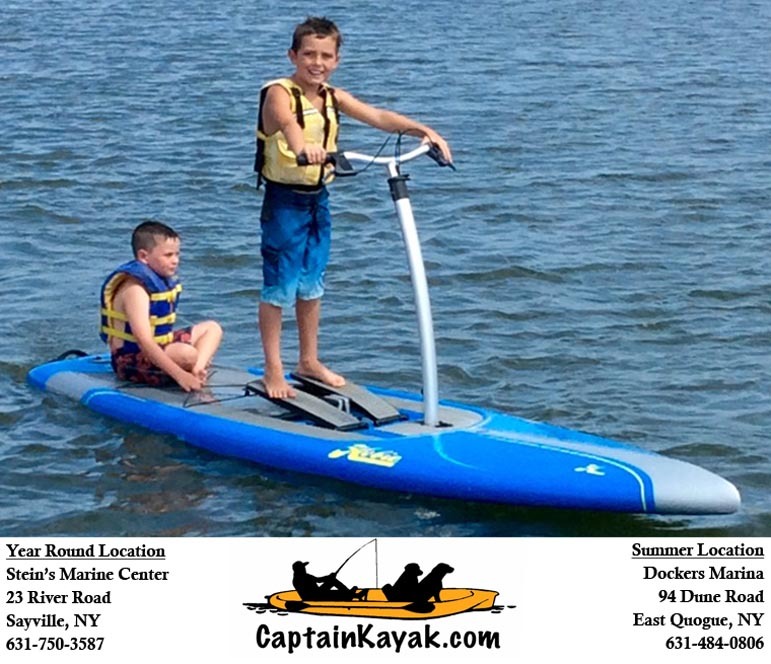 Our safe and stable Hobie pedal kayaks get you close to the fish and provide a hands free fishing experience. During the summer months our location at Dockers Waterside Restaurant & Marina in East Quogue on Shinnecock Bay provides some of the most beautiful sights and productive fishing grounds the east end of Long Island has to offer. So if are seeking excitement, adventure, fun recreation, physical activity, peaceful and soothing mental relaxation, or even romance with the one you love, kayaking has it all. This website will be your guide to our products, services, and upcoming events as we grow our business here on Long Island. We invite you to come visit us. Our staff consists of some of the finest kayak fishermen around and they are always available to share their knowledge and experience.